No matter how durable your iPhone 6/6s might be, it’s always a good idea to add a case to it for some extra protection. If you’re looking for a case that will not only protect your phone but adds to its visual appeal as well, the Vaja Grip premium leather case could just be a perfect match. Vaja cases and leathergoods have a reputation for being beautiful, functional, and well-made. The Vaja Grip is a simple, snap-on hardshell case wrapped in luxuriously soft and supple Argentinian leather. The back of the case is wrapped in gorgeous natural-grain leather, while inside, the leather is embossed with the Vaja brand and logo. 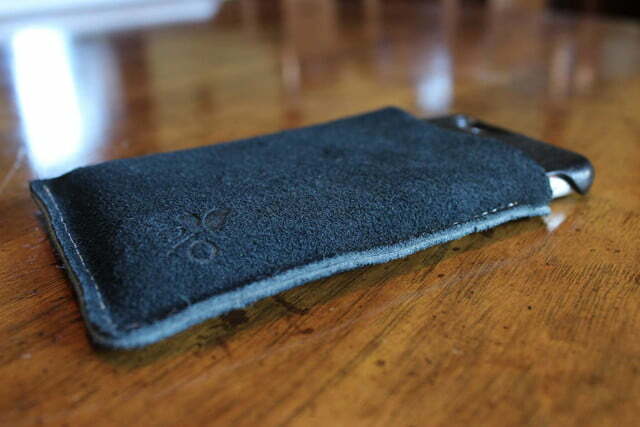 The inner layer provides a scratch-free surface for your phone to lay on while in the case. 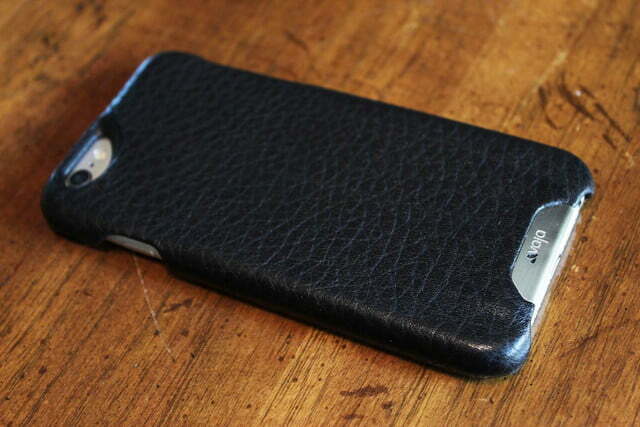 The smooth and shiny leather complements the stainless steel accent plate on the bottom of the case with Vaja’s logo. Around the case are ample-sized cutouts for all the buttons, ports, and the camera, for unimpeded access to your phone’s features and controls. The phone slips into the case with ease and fits snugly for an almost seamless second skin. This case is remarkably low-profile and thin adding only a tiny sliver to the thickness of the phone. 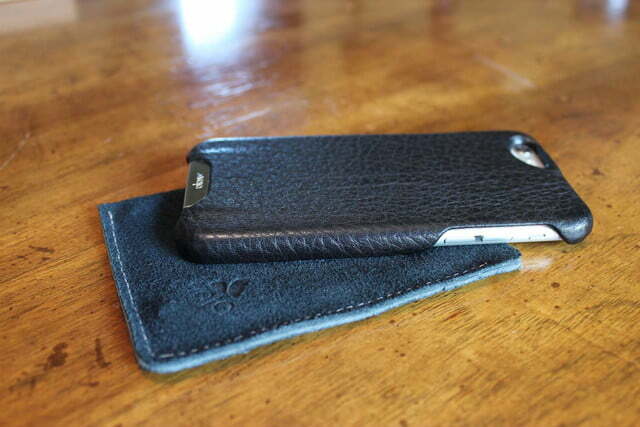 The texture of the leather provides you a warmer hand-feel and more grip over the cold, slippery aluminum of the unprotected iPhone. On the front of the case, around the perimeter of the screen, there is a raised rim that lifts and protects your phone’s screen when it is dropped or placed face down on a flat surface. Even with a tempered glass screen protector installed on the phone, there was enough clearance from the lip to keep the screen from lying directly on a table. 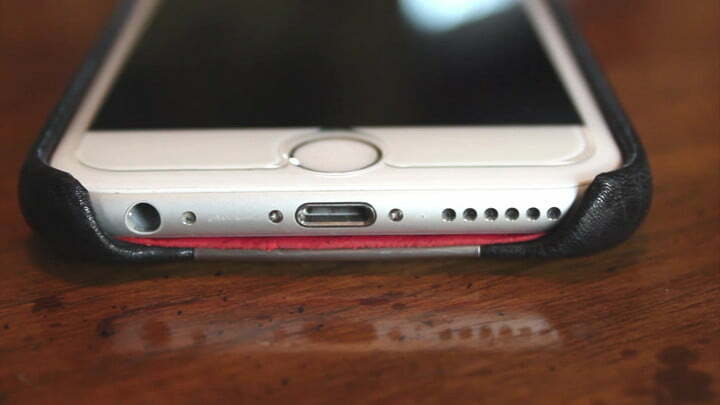 The rigid sides and rounded corners of the case offer decent shock protection from bumps and drops. 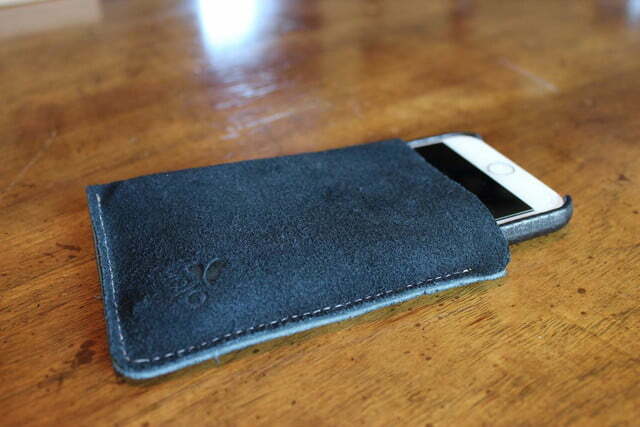 Each Vaja Grip case comes with a suede leather pouch which comes in handy when carrying your phone in your bag or pockets. The pouch does not cover the entire phone though, and a portion will stick out of the top, so you can easily remove your phone. This leather sleeve also functions well as a cleaning cloth and is excellent for removing fingerprints and oil on your screen since the leather absorbs and lifts them rather than pushes the dirt around. Elegance and quality come at a premium over your run-of-the-mill plastic and rubber cases. The Vaja Grip is available on MobileFun in several off-the-shelf color combinations for $107 including the Floater Black and Rosso style we tested, which sports a deep black exterior and bold red interior. However, you can also customize your color choices when ordering directly on Vaja’s website, starting at $120, including shipping.